New Teal party partner for National? Home : Commentaries : A Teal party partner for National? A Teal party partner for National? A teal could take flight? Jacinda Ardern had been Labour leader just nine days when private polling gave the first glimpse of a scenario for 2020 few would have been thinking of. As 1,272 adults nationwide started responding on August 10 to a Horizon Research poll, analysts could detect a twinkle of teal: could the number of National and Green voters wanting a National-Green coalition suggest there might just be sufficient future support for a new blue-green Teal party? Between August 10 and 15, the poll, presenting the adult population at the most recent census (maximum margin of error +/- 2.2%), found 58.5% at that time preferred a Labour-led coalition, 41.5% a National-led one. Bear in mind this gap narrowed by mid-September. 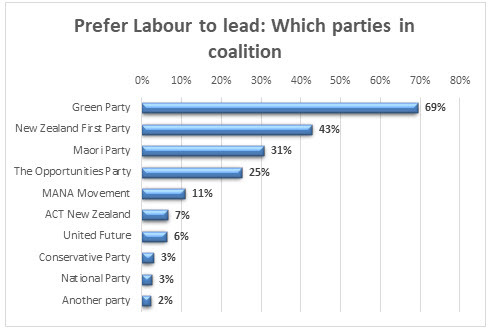 However, in the first fortnight of August, among those who preferred National to lead a coalition, 9.1% preferred the Green Party to be in it. Among those who preferred a Labour-led coalition, 69% preferred to see the Green Party in it. Among those who voted Green at the 2014 election, 2.5% supported the Green’s becoming part of a National-led coalition. 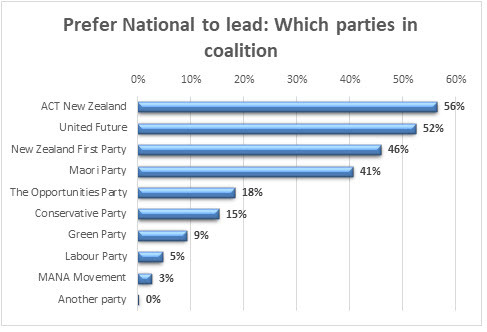 Among National voters 9% wanted the Greens in a National-led coalition. Applied against votes for parties at the 2017 election, this level of support, if attracted by a new Teal party, would equate to about 107,000 votes, or 4.1% of total party votes cast: not far short of the 5% threshold. Views will undoubtedly have changed since August. Respondents could not know then that the Greens would attract 6.3% of party votes in September and National 44.4%, allowing a National-Green coalition. which other parties and non and new voters its support might come from. Much may depend on the new Labour-led Government’s performance and every party’s policies and campaign performances in 2020. It will also depend on how well any new party is launched, if at all. However, we may have seen a twinkle of teal.